One great way for a family to own business assets such as stocks, securities, and real estate is to place the property in a Florida Family Limited Partnership. The laws of Florida rule this partnership, and a general partner controls the property owned by the partnership in the interest of the limited partners. The general partner manages the family limited partnership and the limited partners are usually the beneficiaries of the property. So what exactly is a Florida family limited partnership? A Family Limited Partnership is a type of partnership that exists between family members that are actively involved in a trade or business, or own a large variety of assets. The partnership allows the family members to set rules on how to manage the assets or business and also divides the rights to the income, appreciation, and control. A Florida Family Limited Partnership is an excellent management tool, but only allows family members to serve as general or limited partners. A family, as defined for purposes of this partnership, only includes a person’s spouse, children, ancestors, and grandchildren, as well as any trusts established for these people. For instance, a person’s newly married husband can be a partner in the Family Limited Partnership, but a person’s third cousin could not be a partner. A limited partnership has two types of partners, which are general partners and limited partners. General partners are the persons that usually manage the assets. Think of a general partner as similar to a CEO. The general partners invest the assets, hire the employees, and make the day-to-day decisions. The general partners have direct control and authority over the partnership and have a duty to do so in the best interest of the limited partners. 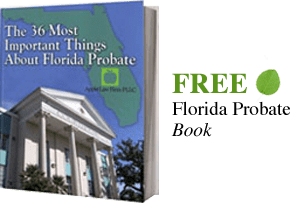 The limited partners in a Florida Family Limited Partnership are usually the partners that invest into the partnership and have a beneficiary interest. A Family Limited Partnership is unique in that the limited partners are not normally investors, but instead are the family members that will one day inherit the partnership property. The Family Limited Partnership is straightforward and relatively simple to create. This partnership is created through a partnership agreement, which is a document that serves as proof of the partnership and specifics how the partnership operates. In Florida, our clients may also file the partnership with the state. The family will always have control and authority over the partnership assets because the family owns the corporate general partner. By placing assets in a Florida Family Limited Partnership, parents can shift income tax burdens and capital gains to the children. The shifting of appreciation is an excellent way to lower a person’s taxable estate (for those with assets that are subject to Federal Estate Tax). Shifting the income may reduce the income tax burden as the income will be spread amongst the children and at their tax rate instead of the parent's tax rate. The interests transferred to the limited partners, including any capital gains since the transfer, are not taxed in the general partner’s estate when he or she dies. The general partner is only taxed under the gift and estate tax if the assets transferred into the Family Limited Partnership are more than the current exemptions. Currently, a person can give $14,000 per year tax-free, and have an additional lifetime exemption of $5.45 million. The lifetime exemption is over $10.9 million for married couples. For example, if the value of the assets placed in the partnership is $600,000, and the value of these assets in 30 years are $6 million, then the general partner will not be taxed under the gift and estate taxes when he or she dies. The beneficiaries receive more of the assets as well because the general partner’s estate was able to avoid costly taxes. The Limited partners of an FLP (Family Limited Partnership) are shielded from creditors. Limited partners are often thought as being similar to shareholders. The limited partners are not liable for the actions of the general partner, and the limited partners are also not liable to the partnership’s creditors. A Family Limited Partnership is an excellent way to protect the beneficiaries while still involving them in the business. One significant disadvantage to the Family Limited Partnership is that the limited partners could face capital gains taxes. Gifted property does not receive a step-up in basis like property that passes from a will or trust. Capital gains taxes are taxes placed on the value an item appreciates from when the owner buys it and when the buyers sell the asset. This type of tax is best shown by an example. For example, a person buys 300 shares of Company X in 1980 at $50 a share. In 2016, this same person sells the same 300 shares of Company X at $150 a share. This $100 difference is the capital gains and is what the government taxes. The proper creation and administration of a Florida Family Limited Partnership is very challenging and should not be attempted by individuals without proper legal and accounting input. We recommend that you contact the best estate planning lawyers in Jacksonville before creating this partnership.